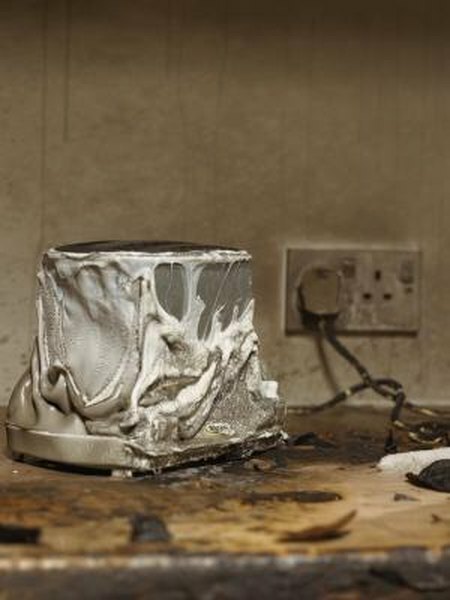 Replacement-value insurance makes buying a new toaster easier. When you buy replacement-value insurance, you get enough money to buy new items. By contrast, if your insurance covers the actual cash value of your property, you get roughly what it is worth. When lost value from aging and wear and tear is factored in, it is likely that you won't have enough to replace a lost television or carpet. Just like it sounds, replacement insurance pays for the price of replacement, not the actual value. Replacement insurance doesn't pay for any damage your policy doesn't cover. Regular homeowners insurance, for example, does not include coverage for flood or earthquake damage. Some policies cover only damage from a specific list of causes; other policies cover all damage except what's specifically exempt. You can usually count on your homeowners insurance paying for losses from fire, wind, theft, falling objects, snow, and burst pipes. Replacement coverage only stretches so far -- specifically, to the total value of your policy. That's usually not a problem because most policies track inflation in building costs. If building costs spike upwards -- after a major storm or fire, for instance -- you're safer with an extended-value policy, which covers spending up to 125 percent of your policy limit. Guaranteed-value coverage pays no matter how much above the limit you go. Extended and guaranteed coverage both cost more than regular insurance. Most policies only return your house to the condition it was in before disaster struck. If local building codes have changed since the house went up, that may not be enough. If your house is 50 percent or more damaged, you have to rebuild to the new standards; if that adds to the cost of rebuilding, your insurance won't pay for it. You might end up paying thousands more out of your own pocket. Building Ordinance coverage will pay the extra money needed to meet the code. Even if your replacement-value insurance was adequate when you bought the house, that may not be true today. If you've added on a bedroom or a deck, for instance, your house is probably worth more. The value of your clothes, collectibles and other possessions may be a lot higher than a few years ago. Make an insurance check-up every year. If you discover you need more insurance, talk to your agent.